Depending on your age, the phrase, "as seen on TV" might bring back memories of knives that can cut through aluminum cans, a hair-cutting contraption that attaches to your vacuum cleaner, or various "painless" methods of hair removal. But when that phrase is used in conjunction with Hamilton County, entirely different thoughts are conjured. In particular, I&apos;m thinking of two restaurants that have been featured on Food Network: Noblesville&apos;s The Ville and Bub&apos;s Burgers and Ice Cream in Carmel. 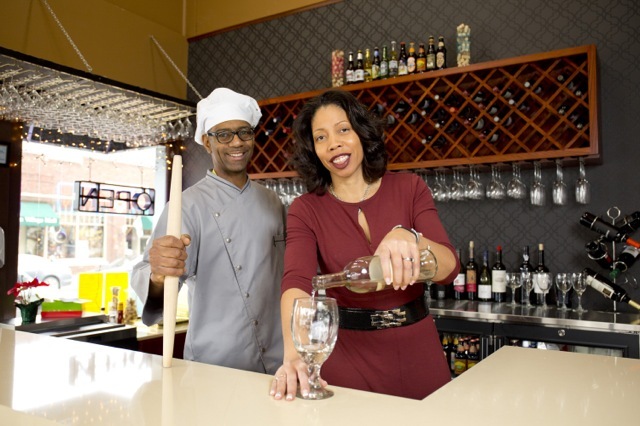 Chef Keith Brooks appeared on the Food Network&apos;s "Buy This Restaurant" in order to find the perfect location for his self-described American and New Orleans Cuisine Restaurant. The result is the complete transformation of a 100-year-old space at 101 N 10th Street in Noblesville. Brooks may have been inspired by the undertaking, as many of his menu items also are classics into which fresh life and ingredients have been unfussed to make healthier, updated versions. Take, for instance, the recent dinner special and southern classic dish of shrimp and grits. Being a semi-vegetarian, I am also impressed by the array of fresh salads--including another classic, the Caesar prepared tableside. And the spinach salad is delightfully prepared using crisp TURKEY bacon, which I will eat on occasion (this being one). Bravo! But, carnivores, don&apos;t despair. The menu also features steak, pork, veal, and lamb chops, among other things. Being a mother, a children&apos;s menu featuring items other than hot dogs also is important. And I wasn&apos;t disappointed. Macaroni and Cheese, grilled cheese and CORN dogs are among the offerings, along with applesauce, carrots, and broccoli in addition to the omnipresent fries. The Ville is open for lunch and dinner Tuesday-Saturday, and brunch on Sundays from 10 a.m. to 2 p.m. Reservations are available by booking online or calling 317-774-5301. Private dining seating up to 50 and off-site catering also are available. 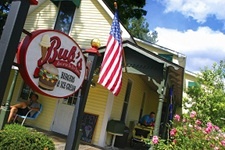 Bub&apos;s Burgers and Ice Cream is a Carmel Classic. It&apos;s always busy, always awesome. And it has been featured on the Travel Channel&apos;s "Man vs. Food." That should give you a clue about portion size. Even if you aren&apos;t trying to get your photo on the wall for downing a whole pound of ground meat that is the Big Ugly, you will leave well fed. If not from beef or elk burgers, then giant hot dogs, baskets of onion rings or fries, milk shakes, and the like are bound to do the trick. 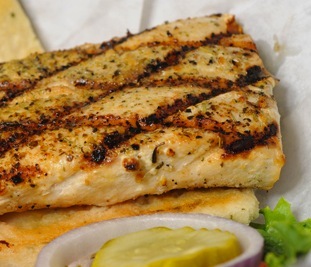 Heck, there&apos;s even something for me there (aside from those amazing onion rings): the Mahi mahi sandwich didn&apos;t earn me a photo or a woman versus food bragging rights, but at 8 ounces, it was a hefty meal. Again, the children&apos;s menu here doesn&apos;t disappoint. Choices include grilled cheese, a mini-Bub burger, and PB & J. Aside from the standard fried sides, you also can choose cottage cheese, mixed veggies, or applesauce. The best thing, however, is the inclusion of a busy bag for the kiddos to keep them content until the main course arrives. Bub&apos;s is located at 210 W. Main St., Carmel, and is open seven days a week, 11 a.m. to 10 p.m. Large-order delivery and catering is available by calling 317-417-9871. While it hasn&apos;t been covered by a television show (yet), Northside Nights Restaurant Week is certainly an event that should get you up and away from the TV March 9-22. That&apos;s because more than 30 restaurants are offering value-priced 3-course menus during that time. It&apos;s the perfect opportunity to sample something or somewhere new. Matt the Miller&apos;s Tavern, 11 West Clay Center Dr.